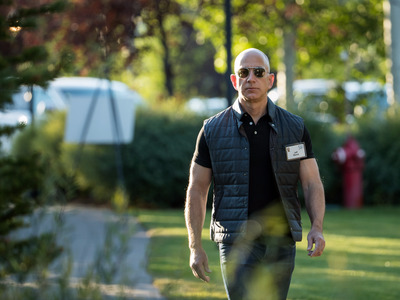 Drew Angerer, Getty imagesAmazon CEO Jeff Bezos. Amazon CEO Jeff Bezos joined Facebook’s photo sharing platform Instagram on Thursday. The 700m+ user strong service is used by a number of high profile tech figures such as Tesla’s Elon Musk and T-Mobile’s John Legere. Amazon’s CEO isn’t new to social media, with a few other personal accounts such as on Vine and Twitter. 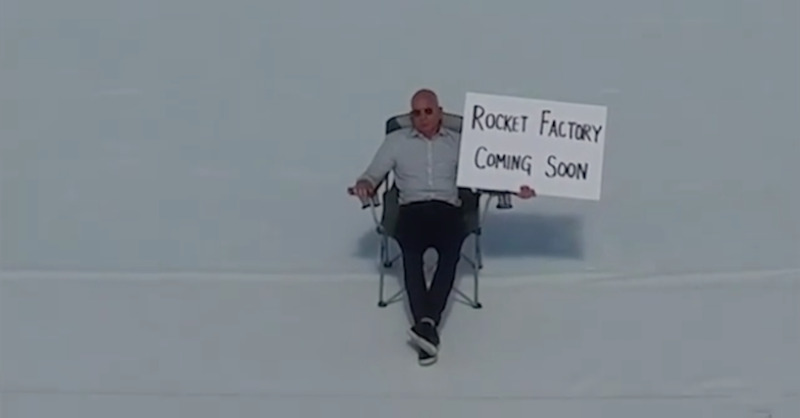 Bezos didn’t waste any time and kicked off his profile with a drone-shot preview of Blue Origin’s new factory, where the entrepreneur’s aerospace manufacturing company will build the “New Glenn” reusable rocket. Jeff Bezos/InstagramJeff Bezos chilling on Blue Origin’s new factory’s rooftop.